Sheriff’s deputies in Santa Cruz County say they think they found the man responsible for stealing a race car and several other unique vehicles in early April. 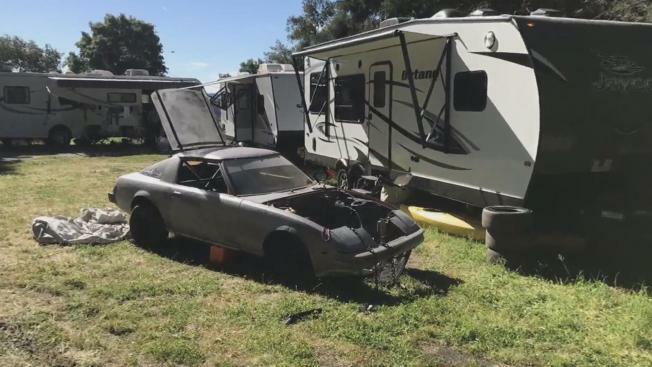 On Tuesday, investigators followed up on a tip from a property manager in the Santa Cruz Mountains and found the modified Mazda race car stripped and hidden on a vacant property near Highway 17. Race car before it was stolen. On the same property, deputies found a man sleeping in a trailer and took him into custody, sheriff's officials said. It was not known if the car could be restored. "For the work that they put into developing it and the care the folks took with it, yeah, a really sad situation," Santa Cruz County Sheriff's Sgt. Chris Clark said. Investigators have been trying to track down the race car and several other vehicles for more than a month. 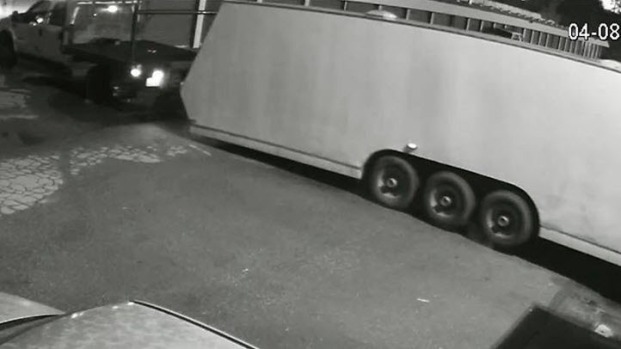 Surveillance images on the Santa Cruz law enforcement Facebook page show someone hauling away the car and a white trailer it was stored in last month. They believe they found the white trailer as well, now repainted gray and black. Asked if the theft was a one-man operation, Clark said they don't know yet. The property where the race car was found is owned by a land trust, and when the property manager recently arrived for a checkup on the land, he found the stolen vehicles and called the sheriff's office. Along with the race car, deputies found three RVs, two camper trailers and two pickup trucks. Deputies did not yet release the identity of the man they’ve detained and were working to identify the owners of the other vehicles recovered.